Farm Fresh Flowers curated to capture the best memories ever. Promising 100% reliability and fulfilment in creating that smile. Free Same Day Flower Delivery of Farm Fresh Flowers intentionally curated to create the best memories ever. Promising 100% reliability and fulfilment since 2017. Should any delivery arrive at least 60 minutes later than promised, we offer a full refund. Click here for full information about our delivery process and promise! We simply don’t believe in charging exorbitant amounts for you to make someones day. Take a more detailed look at how FARM Florist keeps prices so low. Beautiful flowers, prompt delivery. Have used farm florist many times already. welcomed us despite the fact it’s VDay eve and they were really busy! would defo come back again for a different occasion! Preordered roses for my gf on v day. Their bouquet prices are very reasonable, best you can find actually. Besides, it’s always more sincere to get your SO a bouquet than to just buy a stalk on the road in Orchard. I think my gf would definitely love it. Thanks farm florist! Amelia was very helpful in helping me with my selection. I chose the surprise bouquet and was happy with how the flowers turned out. Received a beautiful bouquet (: thank you Farmflorist! Fair prices, good customer service, and flowers delivered on time. Great experience. Just wanna say the flowers were fresh from the garden and wrapping was amazingly graceful. Thank you for making our days beautiful! Our single stock rose bouquet is quite the hit. Hand wrapped to perfection with 2 other fillers. Cluless on What to Get? Surprise yourself with $55.00 – delivery incl. Let us help. 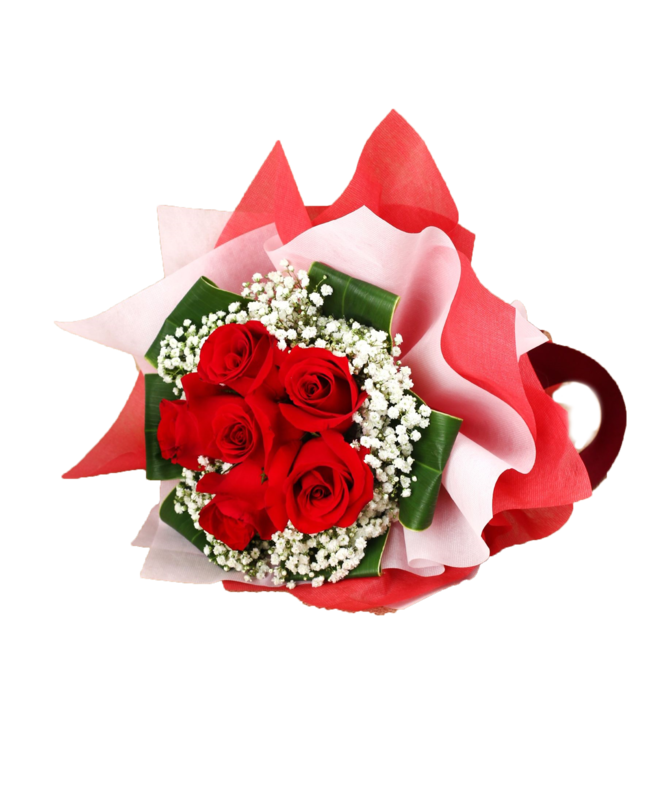 Tell us some details of the occasion, and our florists will curate the most suitable bouquet. At FARM Florist, we are completely against product misrepresentation. Being natural products, there are some characteristics of fresh flowers that we can never control. But delivering you something that looks totally different without any disclaimer on the respective product page is something we will never do. All images used on FARMFlorist.com are 100% genuine and we take pride in living up to our service standards. Your recipient deserves only the best. Include your own personalised note with every bouquet you purchase, or choose to have it blank, or not have it at all. FARM Florist consists of 5 amazing florists with combined experience of at least 100 years. When employed by others, they never got to carry out the designs that they wanted to try out. They were always restricted by the same old boring designs of their old company. It was a mysterious coincidence that all 5 of them did freelance work from home after office hours. They would not tire over working 14 to 16 hours a day so long as a fraction of that time was spent curating their own creations. They became acquainted with one another when they hopped from job to job due to their closing down of their previous companies. Being in the florist industry in Singapore for so long, another thing that prevented them full happiness was the fact that the high overheads of their previous companies resulted in customers having to pay exorbitant amounts for simple looking bouquets. It struck them the most when they would see a teenager or a child decide not to buy anything at all because that would mean emptying their pockets. These 5 florists knew that flowers in Singapore are not meant to be that expensive, contrary to the fact that we have a very high cost of living here. The birth of FARM Florist would mean that there will be a bouquet for every individual and making someone happy does not mean having to skip 10 meals. It was also hard to not notice that the gesture of giving a gift in the form of flowers has been dying off when a simple text message can be sent to wish someone ‘Happy Birthday’ or ‘Happy Anniversary’. 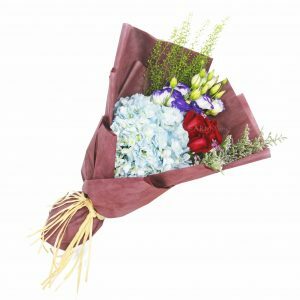 This point, along with the fact that many florists in Singapore struggle with delivery fulfilment has motivated FARM Florist to provide Free Next Day Delivery throughout the whole of Singapore. We are here to serve and we are here to be the best. We are a rapidly expanding team and we will stop at nothing to be number one. We see ourselves too as a social enterprise and we hope to document our welfare efforts with you soon. I really did like the flowers displayed on FARM Florist website but i know the exquisite taste of my girlfriend well enough. Thank you so much to the people at FARM for patiently working together with me to customise such an epic bouquet for her. She took a million pictures with it. When she’s happy, i’m happier. Once again, thanks! To be honest, i bought the flowers because they were cheap. I did not expect anything spectacular. When i saw the bouquet i got for my graduating friend, i was really surprised. It was amazingly well done. FARM Florist is definitely going to be my number one choice whenever i need a flower bouquet with delivery. I HATE BUYING FLOWERS! But.. thanks FARM. Quick and easy ordering process with flowers ready for her instagram purposes. Getting flowers has always been a chore. You guys definitely get the job done. Hope she does not see this!